Séquence chef d'Orchestre from David Chernaik on Vimeo. Séquence chef d’Orchestre from David Chernaik on Vimeo. 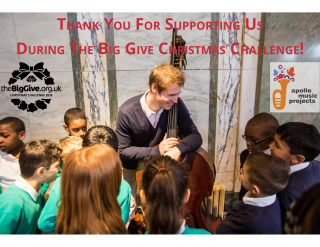 A big THANK YOU to everyone who donated during the Big Give Christmas Challenge! We reached our target of £10,000, all of which has been matched, giving us a total of £21,850 (with Gift Aid)! We are so grateful to our supporters who help us in our important work. We are happy to announce that Simon Smith, currently treasurer of Apollo Music Projects, has agreed to take on the role of Chair of Trustees. 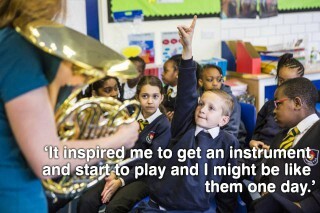 We very much look forward to having Simon’s fresh approach taking us into the next chapter of our musical journey. It is also with great pleasure that we welcome Philippa Naylor as our new Treasurer. We are delighted to welcome Philippa to the Apollo board. 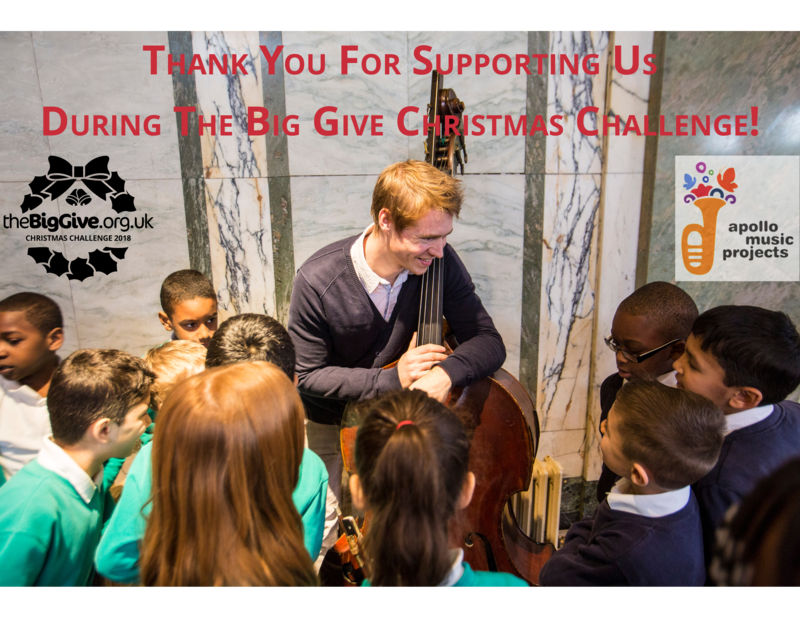 A big thank you to the Mercers’ Company for awarding Apollo Music Projects a substantial grant towards our schools programme in 2018-19 and 2019-20. The grant will help us to deliver our programmes in more schools each year.